Lantek has the most advanced software system for manufacturing sheet metal with laser cutting machines: Lantek Expert Cut. Lantek Expert Cut provides laser specific technology tables for each type of machine. There are up to twelve different cutting qualities that can be created per material/thickness to define: power, speed, frequency, gas, piercing, etc. The laser cutting design software is specific for each type of machine, management of reduced lead-ins, lead-in with runback, customized piercing, sprint-laser, micro-joints, micro-welds, head management, contour attributes, manual and automatic extractions, etc. 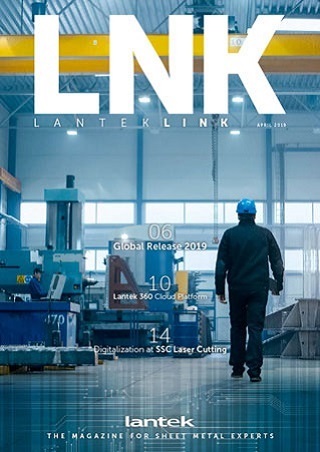 Lantek Expert Cut is able to simulate in 3D the cutting sequence of any laser machine, providing a powerful tool to avoid undesired behaviors in the real operation. Head management – Lantek Expert enables working with the head up or down, automatically detects conflicts and makes modifications to prevent and solve collisions.